You've got questions and we've got answers. Check below for the most frequently asked questions that we get here at Queen Kapiolani Hotel. If you have a question that isn't listed below please call or contact us and we'll be happy to answer your question!  How do I make a reservation to Queen Kapiolani Hotel? Changes can be made by calling our Reservations department any time at 1.800.533.6970. 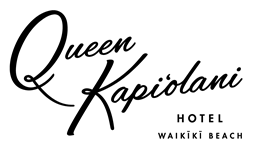 Cancellations can be made up to 72 hours prior to arrival without penalty by calling our Reservations Department. Is parking available onsite at the hotel? Yes we offer onsite valet parking with unlimited in & out privileges for only $30 per day. Documented service animals are welcome, but unfortunately pets are not allowed, not even friendly ones. Do you allow smoking in the hotel or on property? All of our guest rooms and common areas are non-smoking. Hawaii State law also permits smoking within 20’ of a building. Children under 17 are free. Over 17 years old are $30/day for extra person charge. Guests requiring rollaway’s are also responsible for the daily rollaway fee of $30/day as well. How do I block a group of rooms for a wedding or function? What is there to do on property and around the hotel? Plus with so much to do in Waikiki and beyond we are happy to help you get out and explore. How far are you from the Daniel K. Inouye Honolulu International Airport? The Queen Kapiolani Hotel is approximately 10 miles from the airport. Do you offer hotel shuttle transfers?